Studies have found that middle school is when girls are most likely to become disinterested in the STEM subjects because they don’t think they fit what society deems the typical STEM student. 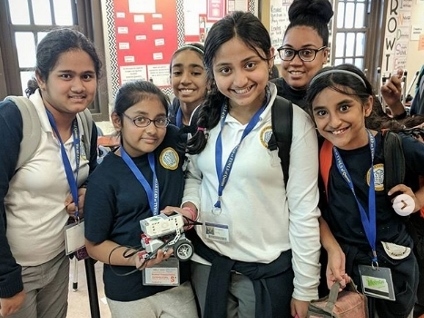 Our afterschool program located within at The Young Women’s Leadership School (TYWLS) shows girls that they are just as able to succeed in these fields as anyone else by offering STEM-based activities and opportunities they wouldn't have otherwise. When women are not seen as equals to men in this field, it especially affects girls. Girls and young women don’t see role models to motivate themselves and see themselves in that position. They are undermined by the idea that this is a “man’s field” where girls don’t belong. 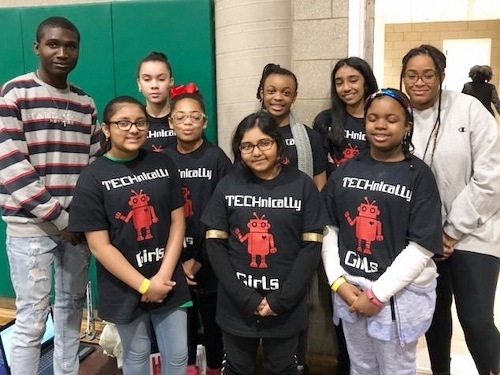 Our program at TYWLS gives an opportunity to our middle-schoolers to celebrate diversity and gender in the STEM field through STEM-based electives like a robotics engineering club. This club recently qualified and competed in The First Lego League’s Intro Into Orbit challenge on March 9. They were the only all-girl group. Through these activities, our participants also create a future path for girls like them. They are able to create their goals, accomplishments, and stories with the support of our staff. Along with that, creating an encouraging environment for girls to thrive in any field is crucial to create more opportunities. With more representation, support, and initiatives more and more women can seize opportunities in STEM.